Notteri is supposedly the nicest beach in Sardinia with soft white sand, crystal clear water, a magnificent lake and an outstanding view. The uniqueness of this site is the abundance of rock cliff formations. You can climb the sandstone rocks to catch a birds-eye view of the blue water and the far stretched beach. The ruin of an ancient tower at the top is the treat of your hike up to the cliff. Notteri’s Water mirror is a place chosen by the Pink Flamingos as their habitat. So, it will be a perfect opportunity to photograph them without disturbing. Apart from this, the beach offers a large cozy caravan, bars, hotels, shacks and nightclubs. 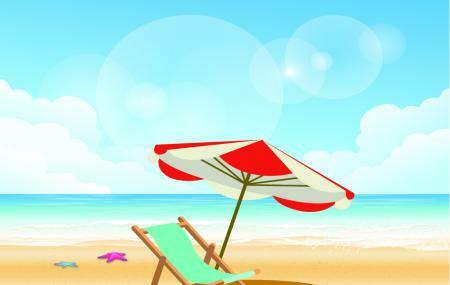 You can hire Sun umbrellas and deckchairs to enjoy your time by the beach. Or you can go for scuba-diving, underwater fishing, snorkeling, jet-skiing and also swim. Gulls, cormorants, limpkins are found by the beach. Explore Spiaggia Di Notteri and other prime spots of the city using Ballao trip planner. Oomph up your visit by adding the best hotels in Ballao like B&b Su Semucu, Villa Agnese and Su Carreri. Choose from variety of exclusive Ballao vacation packages for your next visit or create own own. Check out the various options for how to reach Ballao and finish off your vacation package by booking the ideal transfer. Love this? Explore the entire list of places to visit in Ballao before you plan your trip. Fancy a good night's sleep after a tiring day? Check out where to stay in Ballao and book an accommodation of your choice. Wonderful landscape and beach with perfect white sand. but unfortunately there are too many people. Still it’s a very nice place when off-season. Crowded, too much crowd..the sand is the worst kind..The type that you get in those places where the sun doesn't shine and you don't get it out for months. There are merchants, that are almost more numerous than people on the beach...The facilities are OK, but you have to pay for toilets, the sunbeds are too pricey..point being..I don't see any reason to come here other than taking a "Tahiti style" photo with your loved ones..which in turn you can do elsewhere on Sardegna. Beach was wonderful and had very nice views. Only, it was extremely crowded, very dirty, with very few facilities. Paid EUR 30 for an umbrella with ONE deckchair, the umbrella was also in the last row, and was poorly made. The town of Villasimius was also way worse than we expected, and saw in the pictures. If you're staying in Cagliari, don't drive 1 and a half hours just to get to this run down village, which claims to be the nicest in Sardinia!